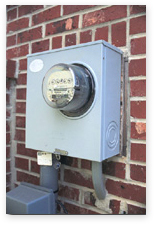 If you are moving into an existing building which already has utility meters, you can request new service by calling the Business Solutions Center at (901) 528-4270 or visiting an MLGW Community Office. To obtain service, you will need to sign a General Power Service Agreement and, depending on your credit history, you may be required to provide a security deposit. Special tax exemption and load growth credit programs are available to eligible businesses and should be explored at this time. Click here if you need to establish service for New Construction. Click here to send a request for MLGW to Start Commercial Service. Click here to send a request for MLGW to Stop Commercial Service. Click here to send a request for MLGW to Transfer Commercial Service. Important Note: If you are constructing a new facility, it is extremely important to use qualified professionals to work with Memphis Light, Gas and Water to ensure efficient, cost effective construction.